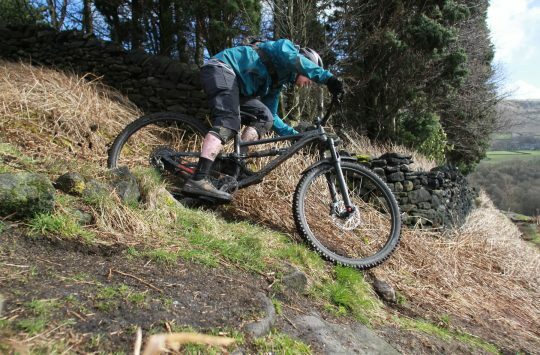 Having undergone elbow surgery twice as a result going OTB (note: when not wearing body armour), I now never ride without elbow pads: so I’m well versed in their pros and cons. The obvious ‘pro’ is protection in a crash. There are varying degrees of protection on offer and you should choose carefully because the main ‘con’ is that the more protection on offer, the more obtrusive the pads are to wear. Comfort is really important; elbow pads can’t do their job if you end up removing them five minutes into the ride because you’re too hot or you can’t move properly. Also, due to the grippy nature of the fabric, it’s a faff to slide them on and off over sweaty skin. Finally, placing them in your backpack almost certainly means you will fall off and have a lot of explaining to do at the Accident Unit. These two sets of pads are designed for the XC/trail riding – so they aim to offer all day comfort as well as protection against impact and abrasions. They should stay in place despite movement and the vibration thrown up by the bike, as well as being durable and easy to wash/dry. I tested them over three months of summer both in the UK and the Alps. The slightly longer sleeve protects your upper forearms somewhat from brambles and nettle stings. These have a pre-curved fit with a stretch mesh sleeve and low profile, foam impact padding over the elbow joint that feels a little like unpoppable Bubble Wrap. There is a silicon upper arm gripper to help hold them in place. The pads sent to me are a size M – I found the fit around the biceps was a little loose, although the stretch mesh was more than up to the job of a ensuring a secure fit, and they never slipped while I was riding. I did ask two ‘medium-size’ male riders to try them and they both reported a really comfortable, secure fit all the way up the arm. The sleeve sits on your arm from biceps to mid lower arm – good for protecting against nettle and bramble attacks as well as abrasions and cuts. They feature an open inner elbow to allow for breathability but I still found them warm to wear on hotter days. I’m an all year rider though, and I know I will be wearing them on a very regular basis as they’ll double as excellent arm warmers (which means more days riding in a t-shirt! ), and they fit under loose-sleeved rain jackets without restricting movement. They can be washed at 30 degrees and will dry overnight on top of a radiator. It has to be said that there is a limit to how far one wishes to take the testing of an elbow pad – but the Gods of Mountain Biking had other plans and so it was that one of the aforementioned male riders took the Slayers to Morzine, accidentally slipped his front wheel off a trail feature and fell sideways, four feet down onto rocky ground. Both he and the pads survived unscathed. “They couldn’t be better”, was his grateful conclusion. The medium sized POC pads came up a little smaller than the same size in Dakine. These elbow pads have a shorter length sleeve with a malleable, impact-absorbing shell that sits over your elbow joint. I tested a Size M and it was a good, secure fit – my size M male riders found them a bit snug and would need to size up. The pads are held in place via the reinforced stretch sleeves that have anti-slip neoprene on the inside, as well as Velcro secured straps. I’m not convinced about the durability of Velcro, especially after repeated washing, but so far it has proved effective. The Air range is designed to be lightweight and highly ventilated and I found these pads to be really comfortable in hot weather for cross country/trail riding that included climbing. They are also great for all-day wear. The shorter length means slightly less protection against abrasions should you go for a slide or ride into a prickly bush, though. 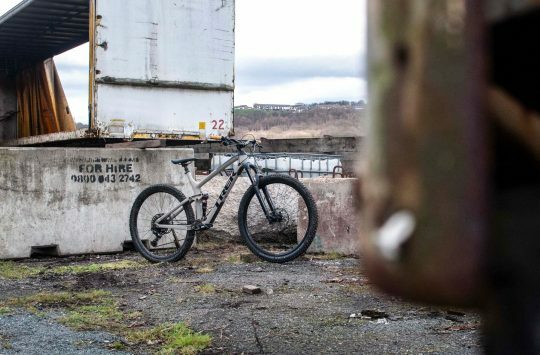 However they are easy to pull on and off and despite their moulded shape, they fit under looser sleeved mtb jackets, so they are very easy to live with. Actually there is one exception to this – the care instructions (anyone take any notice of those?) specify hand wash only. 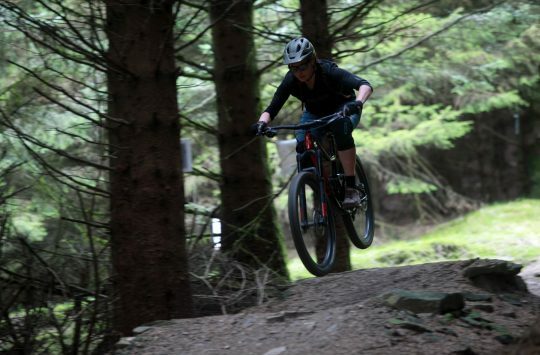 This summer – touch wood – I have managed to avoid falling off so I can’t report on their ability to protect against the need for elbow surgery, but their robust nature was reassuring and I happily rode the Alps in them (though wisely avoided technical features with four foot drops). Available in sizes XS, S, M, L, XL (so a great option for smaller riders who are often limited in choice when it comes to body armour). 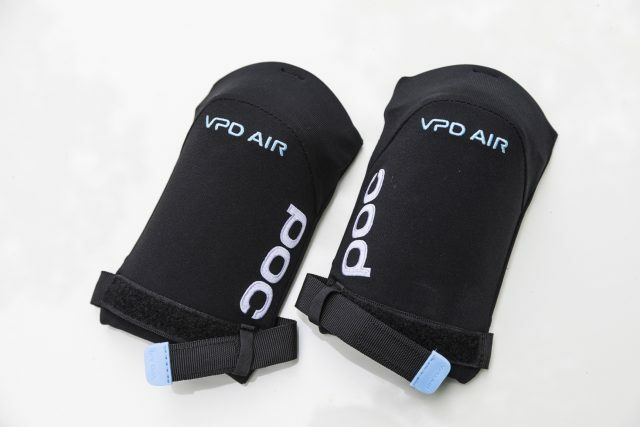 POC’s VPD Air pads are designed for light weight and ventilation. These are both great sets of pads for XC/trail rides. Both stayed in place and allowed full movement of the elbow joint. The ‘winner’ depends upon where and when you are riding. 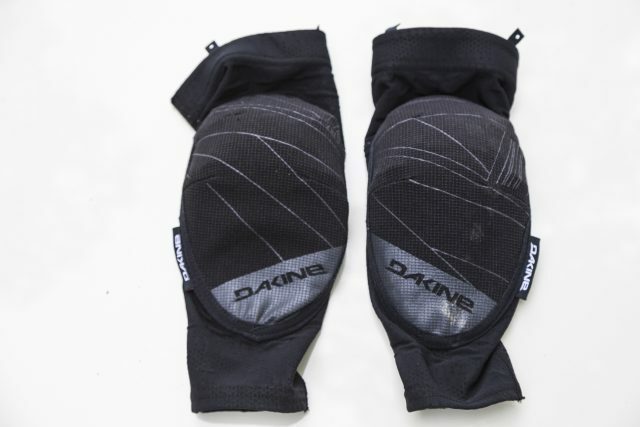 The Dakine Slayers’ longer sleeve design offers more protection in terms of coverage should you hit rough ground, but that made them warmer to wear. 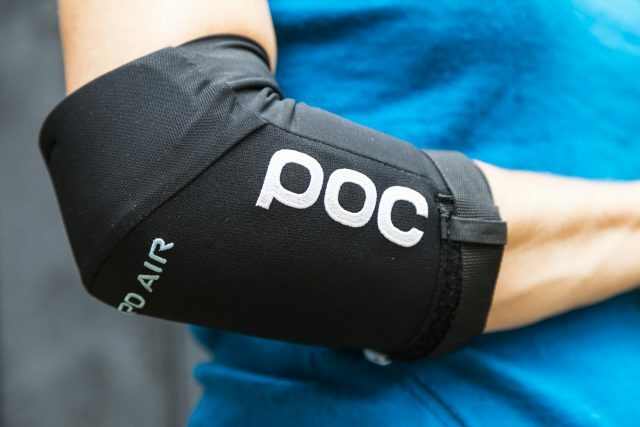 The POC pads focus on protecting the elbow joint: this means they leave more of your arm exposed but their shorter length makes them more comfortable to wear in higher temperatures or on long climbs. 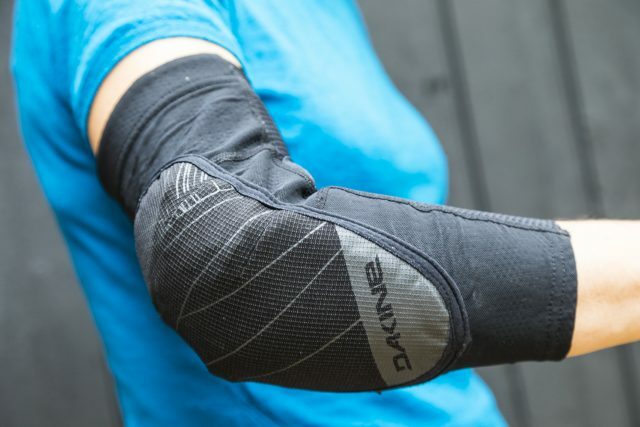 So for summer I would reach for the POCs and in winter the Dakines: we don’t expect one t-shirt or jacket to be suitable for a whole year of riding, so why should elbow pads be any different! fantastic to see a vs review.